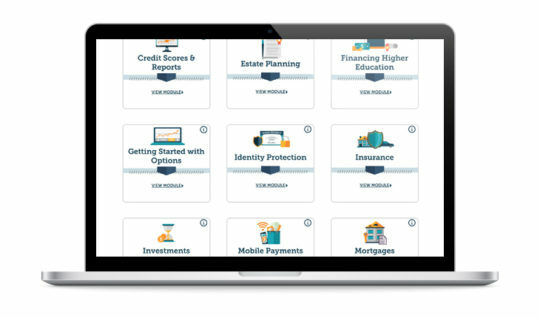 We’ve got free interactive eLearning modules to help you brush up on your current financial skills, and even pick up new ones. Saving for the future can be as simple as putting away a little money from every paycheck, or as complicated as calculating the compound interest and planning ahead decades in advance. Explore how credit unions work and the different products and services we offer. Learn about the benefits that come with your membership and how we can help you meet your financial goals. Get help making a realistic budget you can stick to with this interactive eLearning module. Learn how to categorize and track your monthly expenses to better understand your spending habits and make adjustments. Learn about spending wants vs. needs, and explore how small changes to your daily routine can add up to large savings over time, such as the formation of an emergency savings account. Explore common checking account features and how they can work for you. Plus, compare common payment methods such as electronic checks, credit cards and debit cards. If you’ve ever had your credit card or debit card declined when you’re shopping, you can relate to Overdraft Protection. Learn about the implications of overdrawing your account and how to manage your money to avoid overdraft penalties. Financing what you need with a credit card can be a smart way to manage your money. However, those cards can get you into trouble if you don’t carefully monitor every expense. Learn all about how to control your credit cards before they control you. There are a lot of factors that go into your credit score. 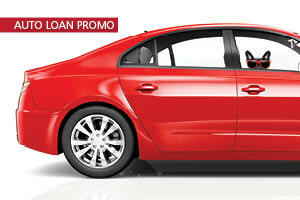 That number can dramatically affect your ability to get a loan and how much you’ll pay for it. Learn all about how your credit is scored and ways to improve your score. Explore how prepaid cards work and the benefits and costs associated with these products. When do you want to retire? How much money will you need to get there? This eLearning module will help you determine how much you’ll need to save toward retirement along with the different types of investment plans and strategies to meet your goals. Learn why estate planning is important, what documents are included in this financial and legal precaution, and how to get started today. Get to know your different investment options and how to develop a strategy that helps you meet your short and long-term financial goals. You’ll also learn how to create an investment portfolio that balances risk and rewards. Get to know your different financing options, how monthly payments are calculated, why it’s important to worry about how much the vehicle costs, as well as your monthly payment. When you’re ready to be a homeowner, this interactive eLearning module will help you explore the benefits and the costs associated with it. Plus, you’ll review the steps required to find a home and finance it. This interactive eLearning module can prepare you to find and finance your first or next home. Explore the costs and benefits of home ownership, the different types of home loans and the process to secure a loan. Learn about insurance so you can choose the plans that work best for you. Explore different types of insurance, common costs associated with plans, and the factors that affect your rates. Learn how taxes work so you can develop a strategy that works best for your financial situation. Explore different types of taxes, necessary forms, and how taxes impact your paycheck. Learn about different ways to pay for higher education, loan repayment options, and related tax incentives.